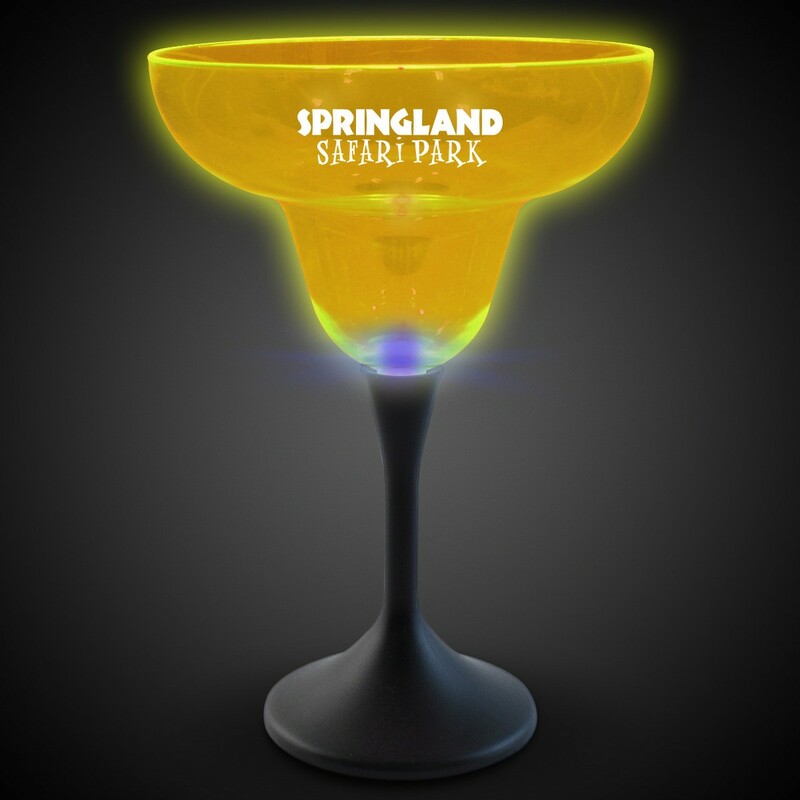 Light Up 10 Ounce Neon Plastic Margarita Glass with a blue LED built into the black stem. 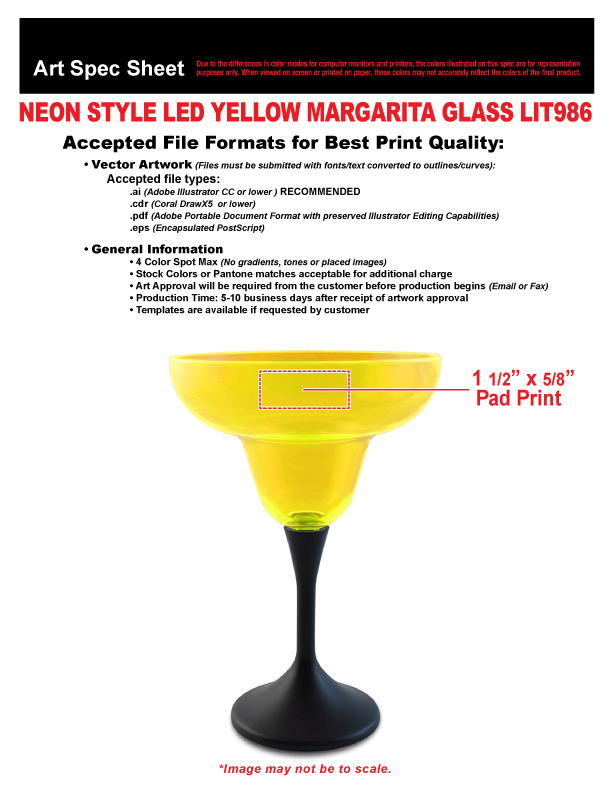 New style of Lighted Barware, this Margarita Glass has 1 High Powered blue L.E.D. 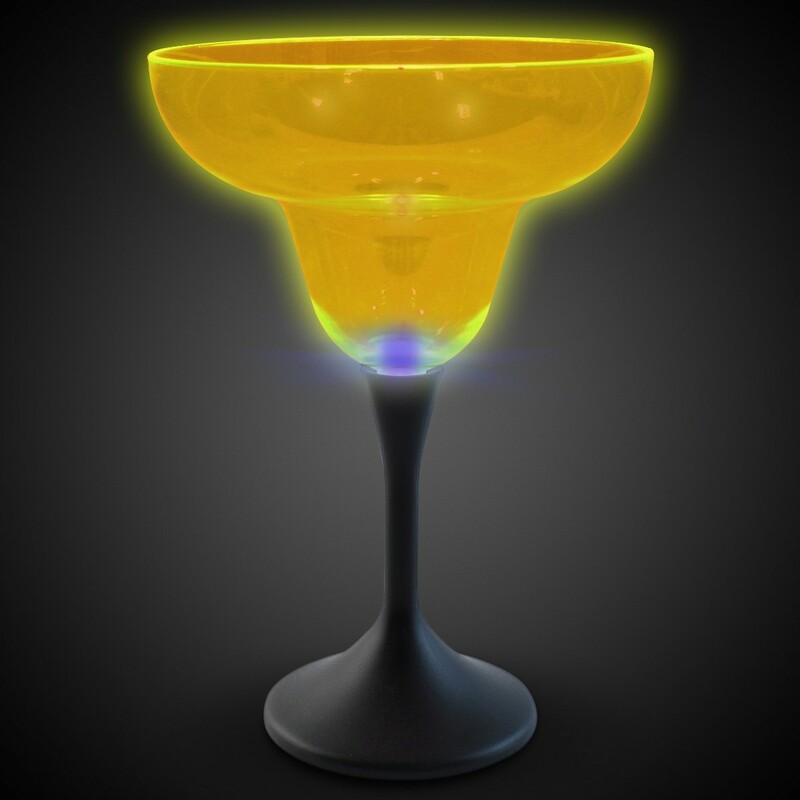 mounted up in the stem to concentrate the illumination into the glass (where the imprint resides). The black base and stem highlights the illumination effect.